The CPRN Registry forms, which are built into the Epic electronic medical record (EMR) system, represent a breakthrough in disease registry data collection. Most clinical registries are populated by clinical research assistants that “abstract” or interpret the data from the patient’s medical record and transcribe it into another form which takes time and resources and can be error prone because of the duplicate data entry. 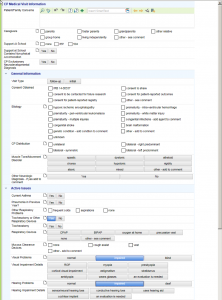 The CPRN Registry forms are built directly into the EMR for use by the providers that treat people with cerebral palsy. 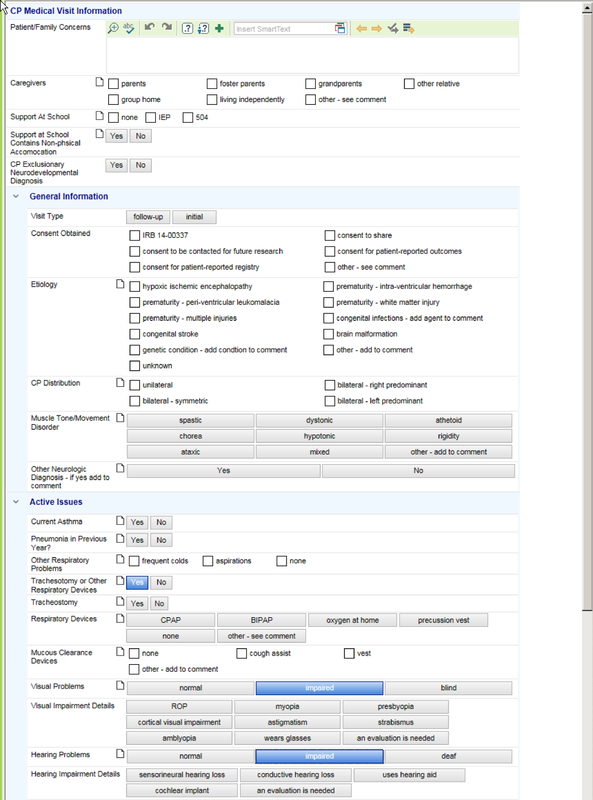 These built-in forms will eliminate duplicate data entry, additional personnel expense and reduce errors by leveraging the domain knowledge of the provider. Registry data will also be more current because the information is captured at the time of treatment rather than entered into the registry after the patient visit or intervention. The CPRN Registry forms will be used at NCH for the next few months before being rolled out at other sites but this milestone is a critical proof point for the CPRN Common Data Model which defines the data that is to be collected for the registry.